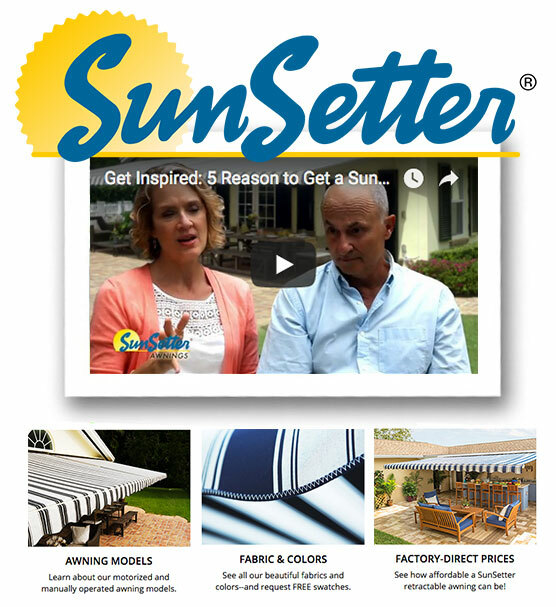 All of our Sunsetter awnings are hand made right here in the United States. Plus each awning if full customizable with thousands of combinations to choose from. Our team will help find the perfect combination that will match your house, deck or outdoor living area. We can even offer you a complementary fabric book to take home and decide on your own timeline. 1. Add another space for entertainment. 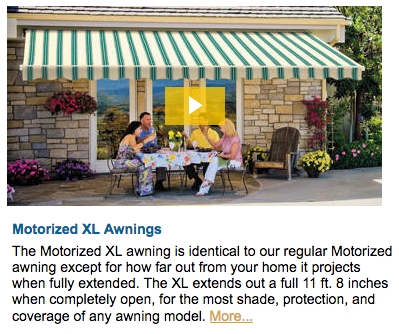 Awnings allow more time for outdoor entertainment. Design your space to your desires. You can have guests over without the worry of them getting burned from sun exposure or wet from rainfall. Enjoy your backyard area with friends and family or create your own private sanctuary. 2. Adds value and beauty to your home. Placing an awning over a patio area creates more livable space- and consequently equity in your home’s value. They bring more appeal to homeowners that want an outdoor space to relax and enjoy the weather, without the worry of the sun. 3. Take control of your patio/deck space. 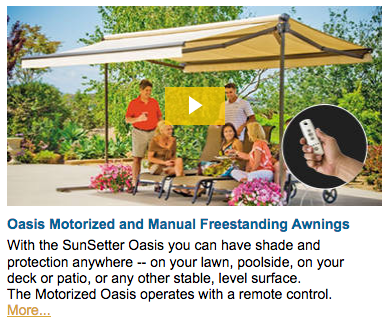 Retractable awnings give you the convenience of controlling whether you want the shade, or not. 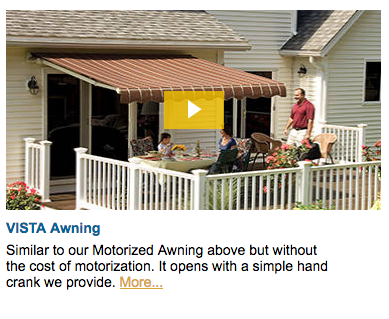 Retract and extend your awning depending on how much sun or shade you desire. 4. Reduce Energy Costs. Awnings reduce direct solar heat that is observed through windows and can save you up to 23% on your annual cooling energy costs in the summer. 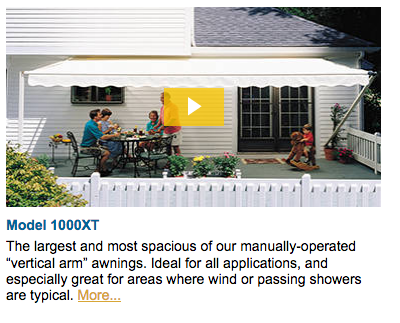 If you choose the retractable awnings, your savings go even further. Retracting awnings during the winter allows the sun to assist in warming your home -throughout the year! 5. Protect Your Home From All Types Of Weather. Installing awnings can protect your outdoor space from the weather, prolonging the longevity of your outdoor furniture by preventing exposure to direct sun, snow and rainfall that can cause deterioration and discoloration. Awnings can also help prevent the UV rays from damaging your indoor furniture or flooring that may be getting exposure. For a free quote or for answers to any of your siding-related questions, feel free to call us at 860-334-8054 and get in touch with us. We look forward to serving you and making your home look its very best! Here are answers to some of our most commonly asked questions. If you have a question though and its not on here please contact us. Our job is to educate you and provide you the best product/service possible. That starts with you contacting us and ends with us exceeding your expectation. Please call us today at 1.860.334.8054!